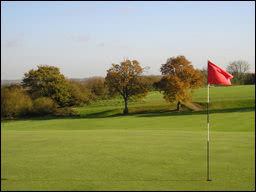 Boars Head Golf Centre is a 'Pay and Play' golf course adjoining the Boars Head Driving Range facility. The 9 hole, 2775 yard Parkland course is set out on gently undulating land forms with mature trees and streams producing the major challenge. The associated floodlit all weather driving range provides a great practice and teaching facility, with resident P.G.A. professional.